Former Mississippi and Auburn coach Tommy Tuberville has been hired as the next head football coach at Texas Tech, the university announced Saturday. A news conference to introduce Tuberville will be held at 2 p.m. Sunday in the United Spirit Arena. It is closed to the public, Tech officials said. Tuberville was getting ready to fly to Lubbock Saturday afternoon and said university officials had instructed him not to discuss his hiring until Sunday. 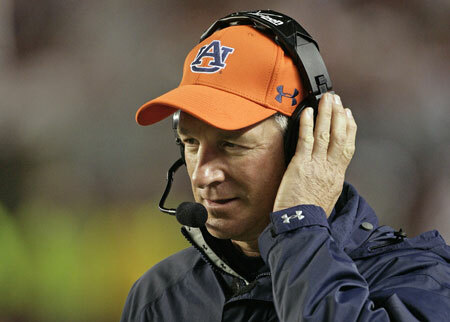 Tuberville will have a five-year contract, a source told the A-J. Former Texas A&M coach R.C. Slocum said he thinks Tuberville is an ideal choice for a program that has won 29 games in the last three years. â€œI think thatâ€™s a good fit,â€ said Slocum, who once had Tuberville on his staff. â€œHeâ€™s not one of those guys that feels like he has to come in and tear everything down and put his stamp on it. I donâ€™t see him being that kind of ego guy. Slocum hired Tuberville to be Texas A&Mâ€™s defensive coordinator in 1994 after Bob Davie left to become defensive coordinator at Notre Dame. At the time, Slocum said he wanted someone to just keep the defense then known as the â€œWrecking Crewâ€ pointed in the same direction. Tuberville lost his Auburn job(Here’s some dispute over whether he resigned voluntarily or was forced to resign) after one bad season. Based on Tuberville’s track, I think he has a good chance of building on Texas Tech’s recent success.